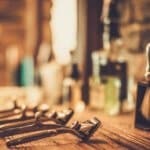 Does Shaving Armpits Reduce Sweat Or Odor? Why Do We Sweat In The First Place? Does Arm Pit Hair Really Effect Sweat Production? The other day on the Tools of Men YouTube channel I received a comment (two in fact) from a video I filmed awhile back where I compared a dry spray antiperspirant to a standard stick of antiperspirant (check out the video here). The viewers stated that I needed to shave my pits in order to get better performance from the stick of antiperspirant. Needless to say, I am a 30-something year old guy that has never taken a blade (or trimmer) to my pits. I never thought it was one of those things that was a ‘necessary’ when going through puberty. Besides, even a poll I ran a few years back told me that more women found chest hair attractive than unattractive (granted this didn’t specifically asked about arm pit hair as the though never crossed my mind to ask about it). 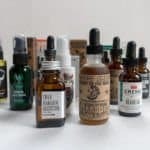 But now seeing that this is a common consideration among men, I thought it was worth looking at this a bit more and unpack everything there is to know when it comes to pit hair, sweat, and odor. …and they would likely nail it. The reason we sweat is to regulate our body temperature. On our body we have between two and four million sweat glands! What’s even crazier is that our sweat glands can actually excrete between 2 to 4 liters per hour (or 10 to 14 liters per day). …and you would be right, you didn’t sweat or stink as much! In fact, when you went through puberty, the hormones in your body activated what’s called the apocrine glands. You had these glands on your body since you were born, but they didn’t really come to fruition until the hormonal changes affected them during puberty. Based on our research and the studies we came across, nothing was convincing enough to support this notion. Regardless of what’s going on at the surface of your skin, the sweat excretion happens internally when the body is too warm. While some men with hyperhidrosis may argue that when they hold the hands of their significant partner they sweat only at the area of contact due to warmth – while this is true, the pits don’t necessarily work in the same way. 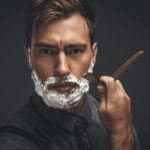 Therefore, if you are thinking about shaving off your pit hair completely and are hoping that the extra air can penetrate your arm pits to yield better results, it’s likely not going to make for any large swings in sweat or odor reduction, sorry guys. But don’t worry, not all is lost – you will see why in just a quick minute! Unlike most sweat glands that are found on the rest of your body, the apocrine glands excrete a slightly more fatty and protein induced liquid. This spells disaster when it comes to stench. Much like bad breath, the arm pits provide the perfect environment for bacteria to thrive. These are the three conditions that bacteria are looking for to exponentially multiply. Therefore, when the sweat starts to drip from your pits, the bacteria gets started in this process of growing and spreading – hence the reason why your pits never smell better with time, only worse. 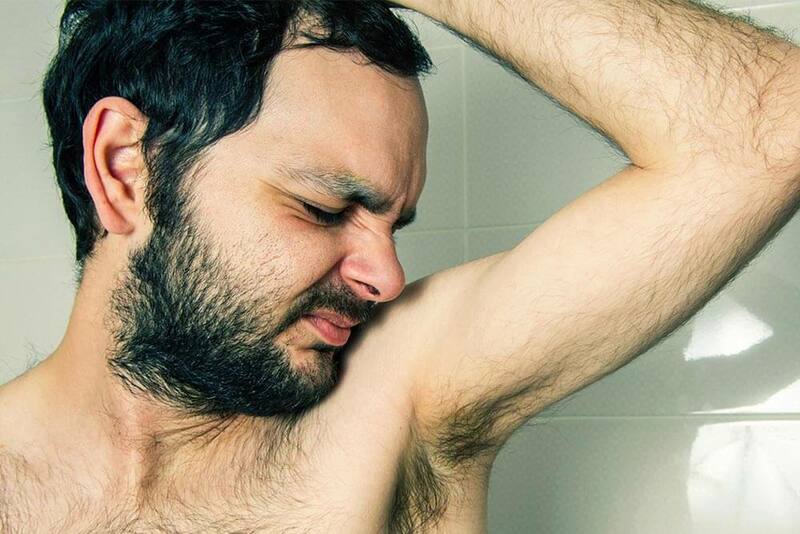 So, whether you had hair on your armpits or not, the environment is nearly identical (dark, moist, and warm), and will still cause you to have body odor. While we will tell in just a minute how to drastically reduce the occurrence of both sweat and body odor, we first need to get you up to speed on deodorants and antiperspirants. Deodorants are pretty self-explanatory, they de-odorize the bacteria. Think of deodorants as a solution that completely neutralizes the smell that bacteria will be emitting – that’s it. Antiperspirants commonly rely on an aluminum compound (Aluminum chlorohydrate) that will essentially plug up the apocrine sweat gland in order to prevent sweat from coming out. Antiperspirants can be extremely effective at even stopping the most stubborn of sweaty pits out there. Now there are some health concerns about antiperspirants and the aluminum compound that is used to block sweat. While we are not doctors (nor should this be taken as medical advice), based on our research, we found that antiperspirants are completely safe to use, per cancer.gov. Chances are that if you are learning this for the first time, you probably have an antiperspirant in your medicine cabinet (i.e. 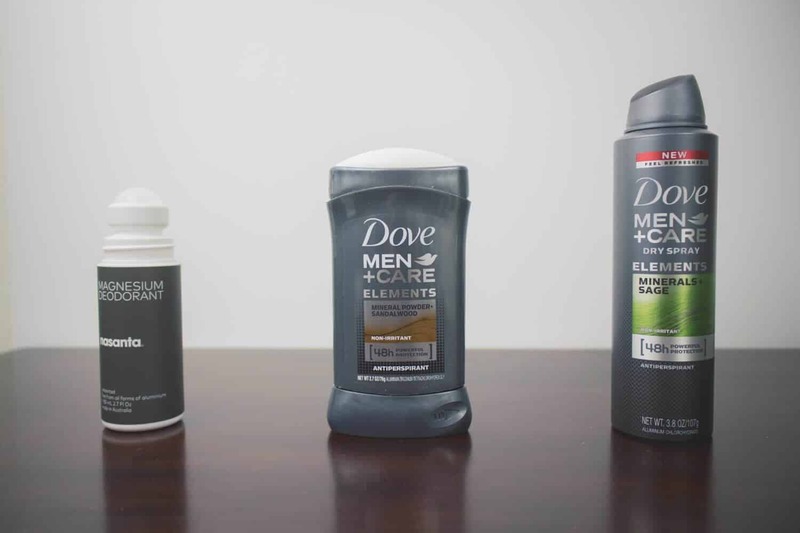 Dove Men, Axe, Old Spice, Brut, etc.). Natural deodorants are starting to become more popular as men start to latch on to the green/natural movement. 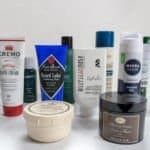 Popular natural deodorants include Every Man Jack, Herban Cowboy, Tom’s of Maine, etc. 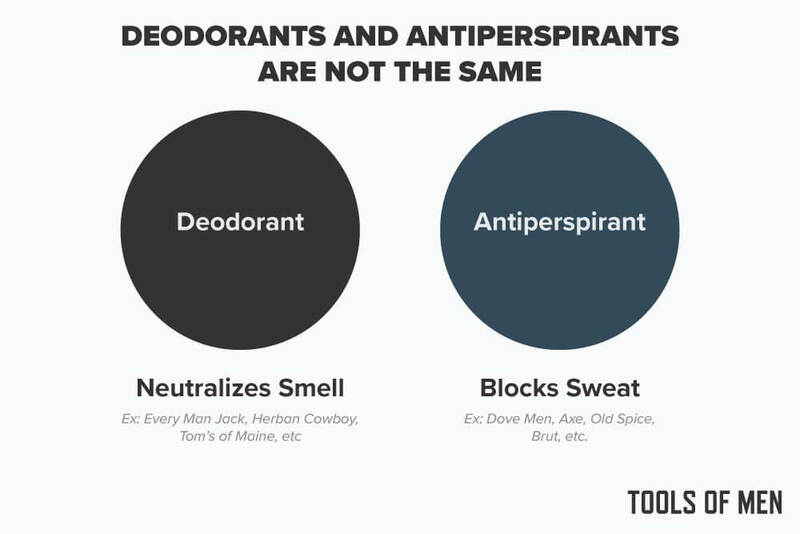 When everything is said and done, it’s important to know that when we use the terms deodorant and antiperspirant, they are two completely different products. Note: Many antiperspirants like the ones listed do contain deodorants or scents – making them more of a 2:1 solution. If you have rather dense armpit hair, a reduced or completely hair-free armpit will allow a few things to happen. First off, when you go to shower, the bar of soap or body wash can get directly to the surface of your skin scrubbing the area where bacteria density will be the highest. When applying an antiperspirant, whether its stick, spray, or roll-on, it will be able to effectively stop the sweat glands from perspiring. This means reduced sweat output from your underarms that takes a key component that bacteria are looking for away (warm moisture). 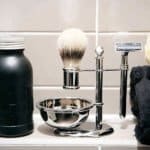 Using a deodorant on a shaved pit on the other hand will still allow the sweat to flow freely, ultimately allowing the odor to happen after the neutralizing properties of the deodorant fully dissipate. 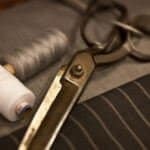 Now if body odor is a constant concern for you, a simple trim may be a good alternative. 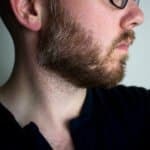 However, if you have no interest in taking any shears or trimmers under your arm, then you will want to direct your attention to antiperspirant application. With spray antiperspirants starting to become popular again, they can be a great way to penetrate deep beneath the hair. While manufacturers recommend that you spray at least a few inches away from the surface of the skin, if you are able to withstand the shock of a cold blast, closer application will likely make for better results. Your standard stick of antiperspirant can (and will) be plenty effective as well. Liberal application in the morning can be enough for some men. 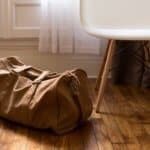 However, repeated application throughout the day (if possible) can help to reduce the sweat from occurring that will ultimately stop the odor in its tracks. Clearly grooming decisions are deeply personal. Shaving your pits may come off as being a bit to feminine for some…and that’s completely ok! 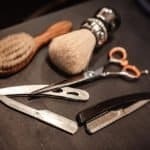 However, a simple trim of the arm pit hair with your favorite hair clipper or body groomer can still help you out immensely. If you are currently using a natural deodorant not pleased with the results, switch to an antiperspirant. Antiperspirants will stop the sweat and the foul odors that follow it.